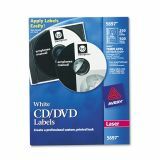 Avery Laser CD Labels, Matte White, 250/Pack - Customize CDs/DVDs for easy identification, organization, or to add eye-catching graphics. 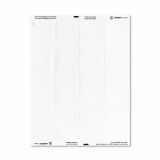 No applicator needed for these laser white matte labels. 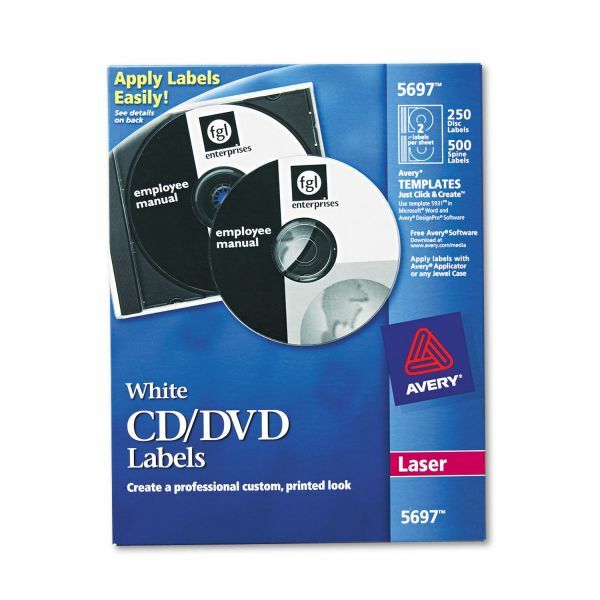 White labels provide full disc coverage. Removable labels stay put until removed. Print graphics and text right to the edge. Case inserts fit precisely. Ultra-fine perforations provide a clean edge.